In 2006, The International Diabetes Federation introduced a visual symbol intended to represent diabetes worldwide. The symbol is a simple blue circle.1 Like the red ribbon symbolizing AIDS or the pink ribbon symbolizing breast cancer, the blue circle is supposed to call to mind the necessity of diabetes awareness and the need to fight the disease on every level — from the personal to the organizational. It is an apt symbol. According to the federation, the circle was chosen for "unity," which can be taken in a few ways. First, diabetes is a global phenomenon with an estimated 387 million sufferers worldwide as of 2014, or the equivalent of about 8.3 percent of the adult population2 — a figure that is expected to rise in the years ahead. In some countries, including India and China, diabetes has reached the level of an epidemic.3 Second, Type 2 diabetes — by far the most common form of the disease — works (in most cases) like a destructive feedback loop, in which lack of a proper diet and exercise causes weight gain and cellular and organ dysfunction, which then causes lack of insulin, a spike in hunger and a decrease in energy, which in turn leads to even less exercise and even more hunger for sugar and so on and so on. Like smoking cessation or breaking alcohol dependency, managing Type 2 Diabetes is difficult, but doing so could be the most significant personal healthcare step a person can make. Diabetes is a disease characterized by an improper relationship of the body to the insulin it produces. Insulin is a hormone produced in the pancreas and used by the cells to break down carbohydrates and remove excess glucose from the system. Have you ever placed a paper towel on a slice of pizza to remove the excess grease? That’s essentially what insulin does to the excess glucose in the body. The type of breakdown in the circle of healthy metabolism essentially define the difference between Type 1 and Type 2 diabetes. Type 1 diabetics do not produce enough insulin in the pancreas and are therefore dependent on insulin injections. There is no known cause for Type 1 diabetes. It is thought to be almost totally genetic and frequently occurs in children. It is still sometimes referred to as “juvenile diabetes,” and its effects can be devastating. Thankfully, it accounts for only about 5 percent of diabetes cases worldwide, and great organizations such as the Juvenile Diabetes Cure Alliance and JDRF are working tirelessly to eradicate it. A great read on efforts to cure Type 1 can be found on the JDCA’s website. Type 2 Diabetes, on the other hand, typically begins when the cells lose the ability to use the insulin that is supplied by the pancreas. As the disease progresses, they may also lose the ability to produce the insulin, making a Type 2 disease look a lot like a Type 1 disease, but the first step — the loss of the cells' ability to use the insulin provided by the pancreas — is what we’re focusing on here. Note the word “lose," as in the cells once had the ability and now do not. Type 2 Diabetes is usually a disease that develops later in life. Like many forms of heart disease and cancer (and unlike Type 1 Diabetes) much of the cause of Type 2 Diabetes is rooted in behavior. Obesity is a common predictor of the onset of Type 2 Diabetes. While obesity and diabetes are not the same, they come from the same source: lack of exercise and too much sugar in the diet. Lack of exercise causes the metabolic rate to decrease and the various systems of the body to begin to shut down, like a car that is left sitting for too long in the elements. Too much sugar can overwhelm the body’s ability to process it. Remember the analogy of placing a paper towel on a slice of greasy pizza? Too much grease can overwhelm the towel. While a few people will have a genetic predisposition to diabetes, most of us have the ability to prevent it through diet and exercise. Earlier, we said Type 2 Diabetes begins with the loss of the ability of the cells to process insulin. It may be better to say that Type 2 Diabetes begins with that 16-ounce can of sugary soda at lunch or the decision to skip the brisk walk around the block in favor of watching TV. Sadly, modern diets are high in sugar, and modern lifestyles are low in physical exercise. It’s a perfect storm for the high rates of diabetes we see all over the world. Care and management of the disease can be achieved to some extent through medications, including insulin prepared outside the body for injection, but diet and exercise are key. Once contracted, some diseases — like HIV/AIDS or certain cancers — are simply there, and there is little that behavior can do to affect it, but this is not the case with Type 2 Diabetes. The human body is a resilient organism, one that is constantly trying to replace what is lost and to rid itself of the harmful stuff. As with so many other health-related issues, the hard work of prevention is well worth it. 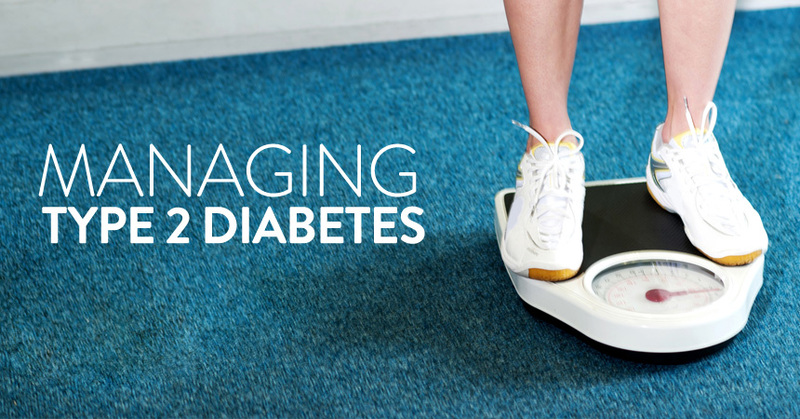 Unlike so many other health-related issues, the effects of Type 2 Diabetes can be managed, even effectively reversed with lifestyle changes. "What Is This Blue Circle?" Diabetes Blue Circle Symbol. International Diabetes Federation, n.d. Web. 15 Jan. 2015. "Key Findings 2014." International Diabetes Federation. International Diabetes Federation, n.d. Web. 15 Jan. 2015. Lipska, Kasia. "The Global Diabetes Epidemic." The New York Times. The New York Times, 25 Apr. 2014. Web. 15 Jan. 2015. Sonya Collins. "Can You Reverse Type 2 Diabetes?" WebMD. WebMD, n.d. Web. 15 Jan. 2015.